I completed the install today. It was a simple five minute job as predicted. The brackets fit nicely on the cubicle and the panel secured tightly in the bracket giving me confidence in the mounting. The packaging held up well. Your company does a great job. Be assured that I will be contracting your services again. 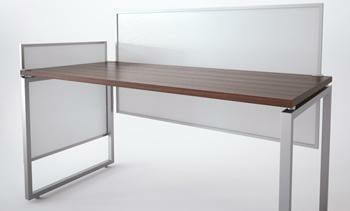 See a quick demonstration of how easy it is to install OBEX’s desk-mounted privacy panels. 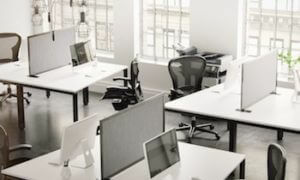 OBEX cubicle panel extenders fit on top of your existing panels to enhance worker privacy and productivity through blocking some of the ambient noise and sounds (office chatter, phone calls, and outside noises). 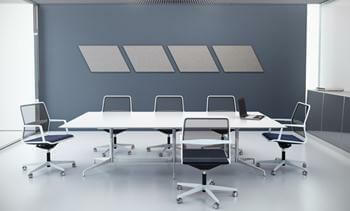 These adjustable, fully customizable extensions are designed to fit standard panel systems from all the major office furniture manufacturers; so it doesn’t matter what brand of cubicles you have on site, OBEX panel extenders are compatible with your current office furniture. You can easily add better function and higher value to your current panel system with our innovative products. Your employees will immediately notice the way these panels reduce noise levels and help them focus, thus improving the bottom line of your business. 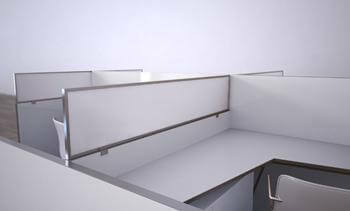 OBEX cubicle panel extenders and related products are an investment in yourself and in your business. 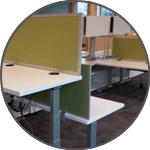 OBEX desk mounted privacy panels are easily adjustable, customizable and attach to desks without damaging your existing office furniture. 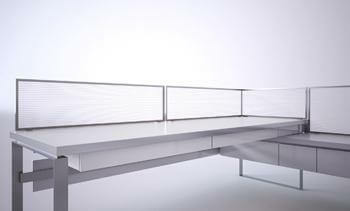 Increase the cross-functionality of your desk set-up to maximize performance and employee results. 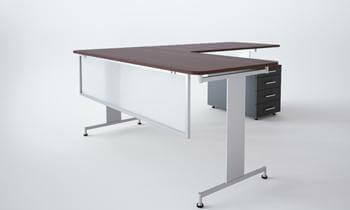 Choose from a variety of custom colors, patterns, frames and fabrics to enhance any workstation or office. Whether you need desk divider panels for classroom testing or want a more enclosed office space (such as a call center), these desk mount privacy panels are the ideal solution for any work environment. OBEX 48-Hour Quick Ship Program Increase privacy and decrease noise in 5 days or less. Quick ship is available in translucent polycarbonate with aluminum framing in all mounting styles including Freestanding, Desk & Panel. Receive 5% discount on your total order on top of quick shipping. 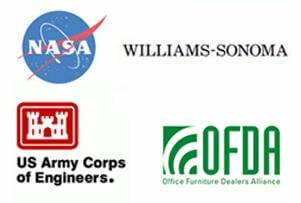 OBEX is an approved supplier to the Federal Government. The GSA program is set up to assist public agencies in reducing the cost of goods by providing products that have already been competitively bid and purchase them at a fixed price.